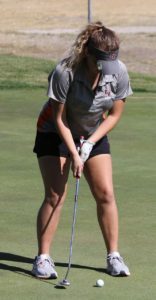 Jenna Kollar finished 25th and McKenna Montgomery placed 29th at the 3A State Girls Golf Championship tournament played last Wednesday and Thursday at Mountain Falls Golf Club in Pahrump. Kollar shot 105 on Wednesday and 111 Thursday to finish with a 216, while Montgomery shot 110 Wednesday and 109 Thursday to finish at 219. “Each girl shot below their season averages both days of the tournament on a challenging but fair course,” coach Brian O’Neill said. He said beating season averages at the State Tournament is a good accomplishment because of the pressure of the tournament, and because the courses are often more difficult than many they teams lay on during the season. “The stage is greater and oftentimes the nerves can set in,” he said. 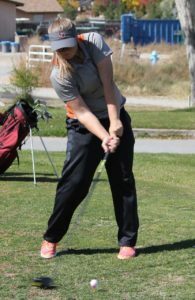 Lani Potter of Boulder City won her second consecutive individual state title with a two-day total of 149, leading her team to its first state championship since 2010. Carolyn Lemon of Western was second with a 157. Tatyana Carlson of Lowry was the top Northern finisher, in fifth place with a total score of 161 and Annika Criss of Elko, who shared Northern 3A co-MVP with Carlson, finished sixth with a total of 163. 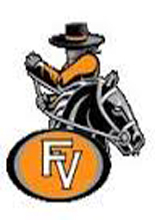 Kollar and Montgomery were the only two State qualifiers for Fernley, but two other players had similar season averages and were in contention for State berths. “It is exciting that they are both juniors and we have a strong core of returning players next season,” O’Neill said.